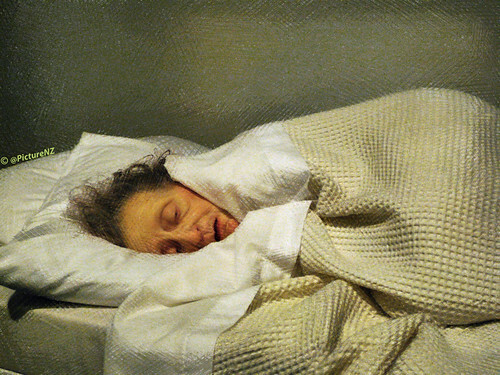 "Old Woman in Bed" by Ron Mueck, a photo by Steve Taylor (Photography) on Flickr. When my wife saw this sculpture she felt that the old woman had died. She has seen a few elderly woman who had died in their beds during the night. This was most disturbing for her as it brought up old memories of the ladies that she had comforted and had a laugh with, who were now no longer around.